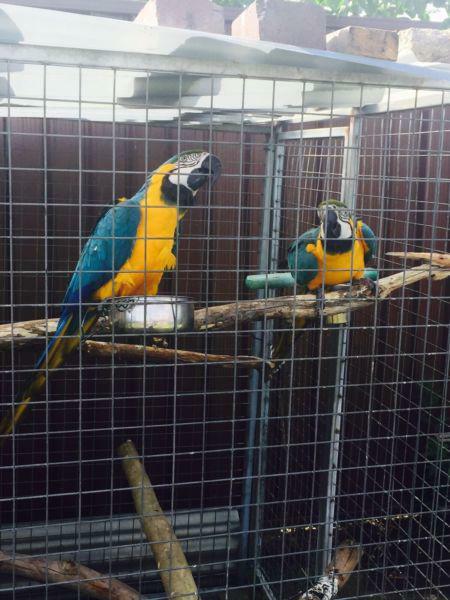 For sale is Ryker a very friendly Young Blue and gold Macaw bred from quality parents and fed on a great diet, He is a healthy large bird that needs the right care and lots of attention, He says Hello and can learn much more. Is harness Trained and loves to fly in his 6 x 3 metre Aviary. quality parrots and eggs for sale.